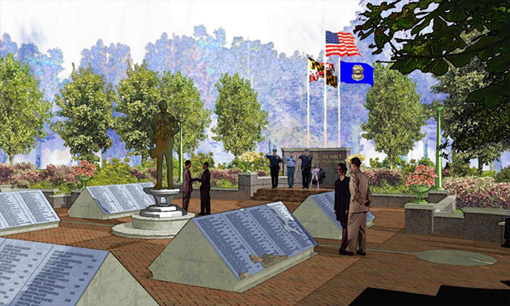 The memories of all fallen Maryland Police and Correctional Officers will be etched here forever. 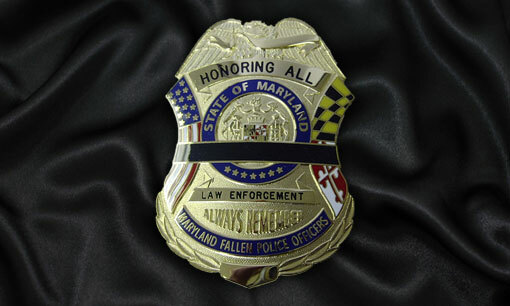 Purchase a Memorial Police Badge to donate to all of our fallen police and correctional officers in Maryland. Shop at Amazon.com? Then please consider purchasing from smile.amazon.com. Same site, however, Amazon.com will donate a portion of the sale to us. Go to smile.amazon.com and simply choose the Maryland Fallen Police and Correctional Officers Memorial, Inc. Thank you. Use Giving Assistant to save money and support Maryland Fallen Police Officers Memorial Inc. Remember your family member or friend who served honorably or is currently serving as a Maryland police or correctional officer by ordering a personalized commemorative badge.